Making A Blu Ray player region free isn’t something easy. The good news is, it is indeed possible to make your Blu Ray player region free through some technical procedures. I say it is possible because it’s not guaranteed that you can hack your Blu-ray player to make it region free. Some Blu Ray player manufacturers leave a back door for removing the region code, while others don’t allow users to heck their players at all. The way to hack a Blu Ray player could be very different from model to model. Fortunately, there is a place where you can find exactly how to hack you are Blu-Ray player to make it region free, and that is the VideoHelp forum. Go to the forum, and then go to the DVD hack section. All you need to do is to type in model of your DVD or Blu Ray player and then search for the hack exclusively for your model. If you are lucky enough, you will find a very detailed instruction to unlock the region code for your player. Just follow the instructions and you should be able to make it within a couple of minutes. The second solution that I am going to introduce today is to work on your disc instead of your machine. As you might already know, different DVD or Blu Ray players have different working mechanics, if you ask “how to make Samsung Blu ray region free” and “how to make lg Blu ray region free”, you will certainly get different answers. It is really not easy to find a way to make you are Blu Ray player region free without learning the technical details of your Blu Ray player itself. If working on the Blu Ray player is so hard, why don’t we jump out of the box and work our way out with a different approach? Why don’t we move our sight from the machine to the disc? Making your disk region free is much easier than making your Blu Ray player region free, and you can achieve the same result which is making you your Blu-ray player play your Blu Ray disc successfully. There are 2 approaches to remove the region code off your Blu Ray disc. 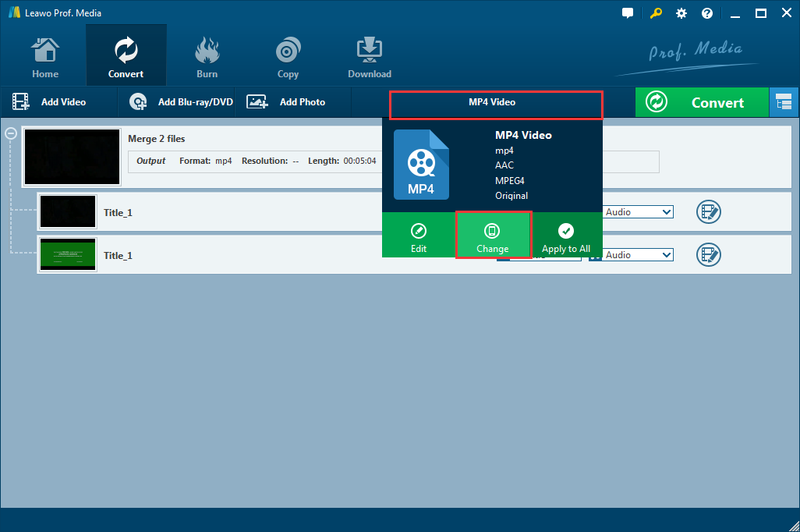 If you only want to remove the region code, then you can use a DVD copy program to make a perfect copy of your Blu Ray disc, only without a region code. This is the first approach that we’re going to talk about. the second one, on the other hand, can not only make you obtain a Blu Ray disc copy without region code, but also can make you have a digital version of your original movie. now let’s talk about these 2 approaches separately. First let’s see how to make a perfect copy of your Blu Ray disc without the region code. By following the instructions below, you will get yourself a perfect copy of your original Blu Ray disc, only without a region code, so that you can play the disc wherever you want. The program that you’re going to use is this Leawo Blu-ray copy, which can make a perfect copy of any Blu Ray disc regardless the region and encryption of the desk. here is what you need to do. 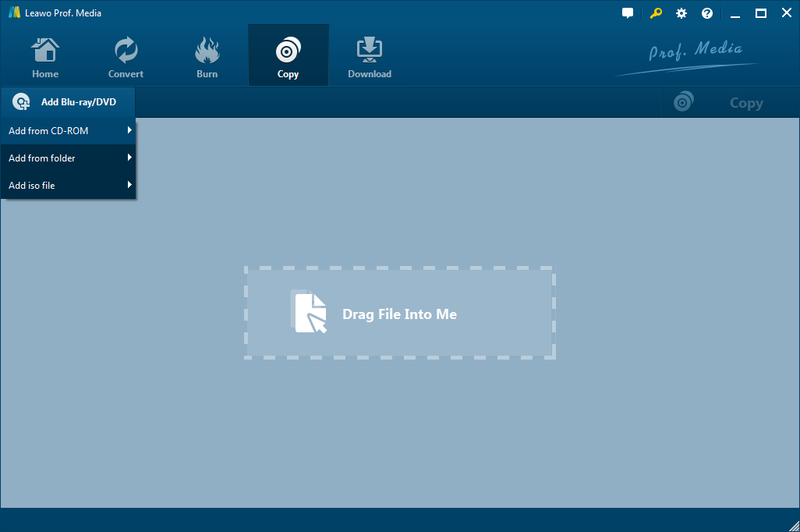 Step 1: Download and install Leawo Blu-ray Copy. Step 2: Insert your original Blu-ray disc to one of your empty CD-ROMs and insert a blank Blu-ray disc to another. If you only have one CD-ROM, you can just insert the original disc, follow the instructions and make an ISO copy of your disc, then pull out your original disc and insert the blank disc, repeat the whole process and copy the Blu-ray ISO to the Blank disc. Step 3: Launch Leawo Blu-ray Copy, import your source movie by clicking “Add Blu-ray/DVD” then “Add from CD-ROM”. Step 4: After importing the Blu-ray disc, you can choose which part of the disc you want to make copy of. If you want to make a perfect 1:1 copy of your disc, choose “Full Movie” mode. You can also use “Main Movie” to copy the longest chapter of the disc, or “Custom Mode” to select specific chapters to copy. You can also select subtitles and audio tracks if there are multiple of them in your original disc. Step 5: When you get everything set, click the green “Copy” button at the top right corner to call out the copy setting panel, where you have to set the output format, an optical disc, ISO file or folder, and the output directory. After that, click the “Copy” icon below to start copying and removing the region code. Comparing to making a copy of your Blu Ray disc, ripping the disc to digital can give you more freedom of how to deal with your movie. You can save the digital file on your computer to just play it on your computer, or transfer it to other devices, or you can burn it to another disc, DVD or Blu Ray, to play it on any Blu Ray or DVD player. Of course, No matter it’s the digital version you rip, or the DVD or Blu Ray you burn later, will not have any region code restriction. Step 1: Launch Leawo Blu-ray Ripper. Step 2: Import your Blu-ray by clicking “Add Bllu-ray/DVD”, and then “Add from CD-ROM”. 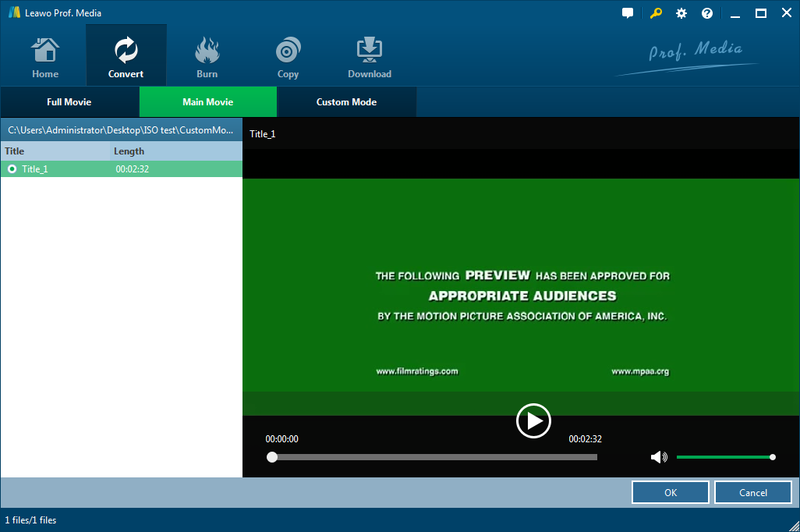 Step 4: Now you can edit the movie by clicking the edit button on the video list. Leawo Blu-ray Ripper provides different kinds of edit that you can apply, including trimming, cropping, adding watermark, effect and adding 3D effect. Step 5: When you are done editing, click “OK”, and then click the format button beside the green “Convert” button to set an output format. Step 6: Finally, click the big green “Convert” button to set an output directory, and then click the convert icon below to start converting. The final solution that I’m going to provide here is the easiest one with the lowest cost. With this solution, you don’t have to spend any money, you don’t have to work on any technical stuff, and you don’t have to search online for any information. All you have to do is to download an all-inclusive media player that can play Region protected Blu Ray material. The All-inclusive, all-region media player that I am going to introduce today is called Leawo Blu-ray Player. As the name suggests, you can play all kinds of Blu Ray or DVD material without worrying about the region code restriction or encryption protection. Not only can you play Blu-ray or DVD with this media player, but also all kinds of digital videos like MP4, MKV, AVI, MOV, BDMV and so many more. Leawo Blu-ray Player is 100% free and no malware attached, so you can be assured to install this media player in your computer as your primary player program. If you have been wondering about how to make your Blu-ray player region free like so many others have, then I believe this post can help you with your problem. We introduced 3 different methods to help you play your Blu-ray successfully, and there must be one that fits you the best. Enjoy your movie!